Celery goes very well with dips, raw salads, stir-fried vegetables and many others. Crunchy and juicy, it also supplies the body with water, fiber, vitamins and minerals. Did you know that aside from making you healthier, celery can also leave you looking more amazing? Read on to learn about the cool beauty uses of celery. Thanks to the vitamin E content of celery, munching on this vegetable can help hydrate your skin from within. Keeping your skin moisturized is a way to ward off dryness as well as improve the appearance of fine lines and wrinkles. Speaking of fine lines and wrinkles, adding celery in your everyday diet is said to help prevent the appearance of these aging signs. Too much exposure to the sun as well as stress can cause the premature development of fine lines and wrinkles. Because celery is rich in vitamins A and C which are antioxidants that protect the skin from damage, you may stay looking young simply by getting more of this vegetable. Crushing some celery sticks allows you to extract its juice, something that can banish those pimples. All you have to do is daub the juice on trouble spots and let it stay there until it’s completely dry. Rinse off with warm water. Some people place a drop or two of tea tree oil to celery juice for a more potent pimple-busting solution. Is your face shinier than a frying pan? Fret not. Allowing small slices of celery stick to steep in a cup of boiling water results in an amazing shine remover. Stash the solution in the fridge prior to application with a cotton ball so that it may not only remove excess oils but also shrink large pores. Once or twice a week, exfoliating has to be done to ward off dull complexion. The combination of raw oatmeal and celery juice makes for an effective yet gentle exfoliating solution. Massage gently on your face and rinse off with cold water. Snacking on celery helps you lose weight because it is loaded with water and fiber, both of which fill up your tummy so you don’t end up overeating. It also contains negligible amounts of calories and fat! Feeling bloated? 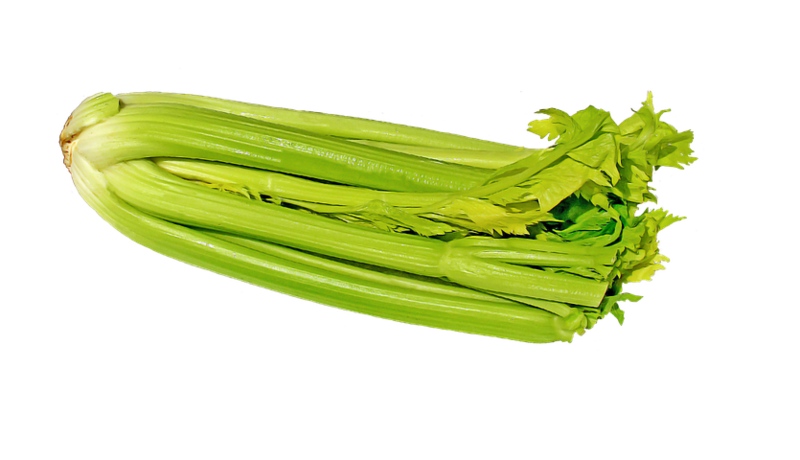 Munch on some celery sticks to make that water weight go away. Experts say that celery has diuretic properties, making this vegetable able to promote more urine production to combat bloating. A lot of women swear by the effectiveness of celery juice in making their tresses thicker. All you have to do is pound some celery sticks. After shampooing, massage the pulp and juice into your scalp. Put on a shower cap and wait for about 30 minutes before rinsing off. Believe it or not, constipation can take its toll on your beauty by making your complexion look dull and leaving you looking, well, constipated. Snacking on celery or adding more of it in your everyday diet can help combat constipation as the vegetable is packed with water and fiber.